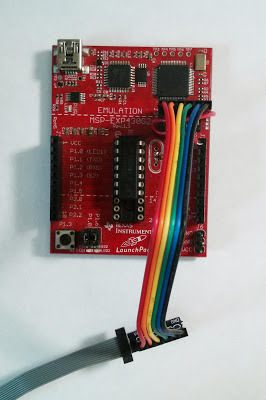 I am actually using a 2x5 connector which comes with the CC Debugger kit from TI. I'm sure that an orientation-safe header in that size exists, but I have not done an in depth search for one. These ribbon cables are quite difficult to find. Sorry that I cannot provide a part number. If you happen to find one, I would greatly appreciate it if you could post your results. In the meantime, I will keep searching. Hi NJC, I also can't find Receptacles (female header) at mouser. Only 855-M50-3200345, but that's not vertical. I think, I'll use 2mm pitch connectors. 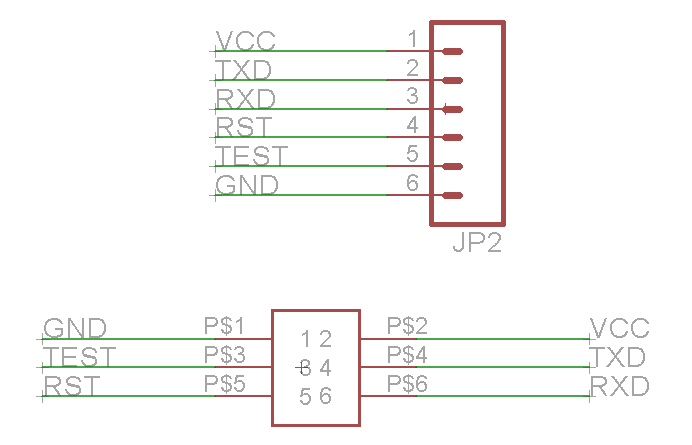 If you were to swap GND and TXD then the pinout would be exactly the same as the standard 6 pin AVR programming port (other than the size). 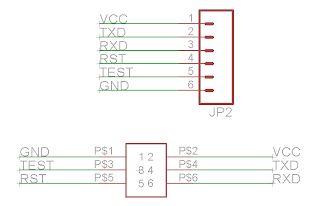 This could be handy when people use the same pinout in .1 spacing they could utilize the same common usbtiny programmer for both AVR and msp430 with some modifications to the programmer firmware. Very good point. 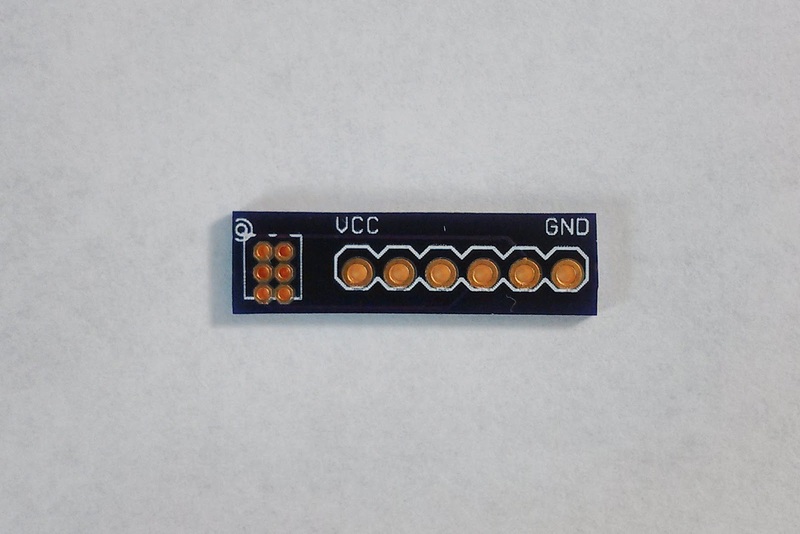 I especially agree with the fact the VCC and GND can easily be reversed. It would have been nice to have the staggered in some way.